Do you know who Antonio Pigaffeta is? Don’t be afraid to say ‘No!’ or even ‘I couldn’t care less!’. In fact, I hadn’t heard his name until about two months ago, when a chance encounter in Vicenza made me aware of this most admirable of men. 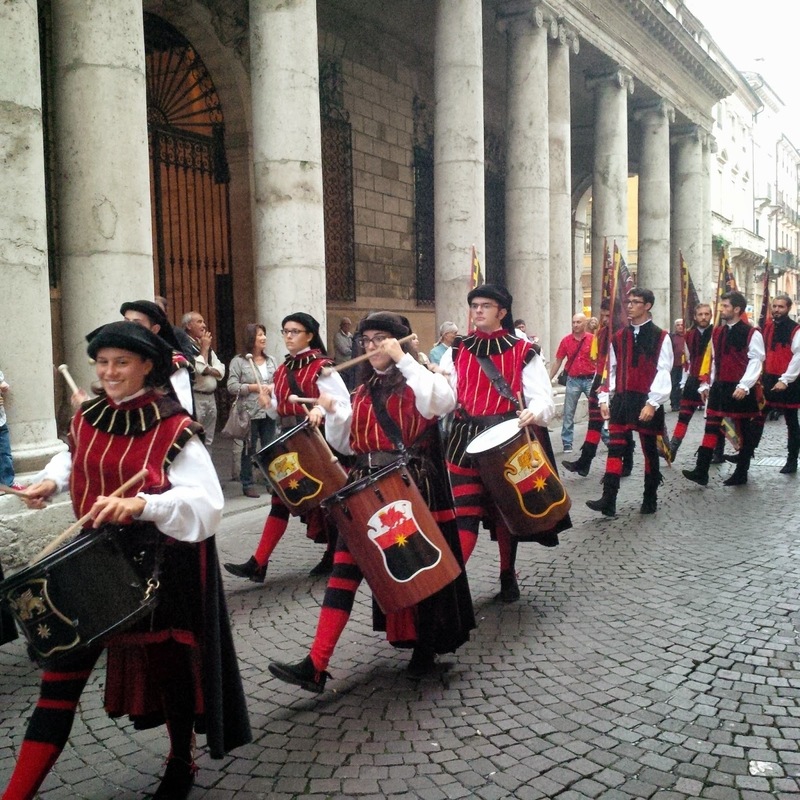 On that particular late summer evening, we had only nipped down to Vicenza’s centro storico for a quick evening walk, when on Corso Palladio – the town’s elegant main street – we came across a procession of musicians, flag bearers and some official looking folk. With our curiosity piqued, we stopped just when the members of the procession, all dressed in traditional black and red garb from long gone times, stopped, too. A deafening drum roll followed and then silence. At this point, a man with a splendid hat opened a book and read in loud and proud Italian a long and, to me, incomprehensible speech. A kind lady, standing next to us in the quickly formed crowd, offered to translate for us. 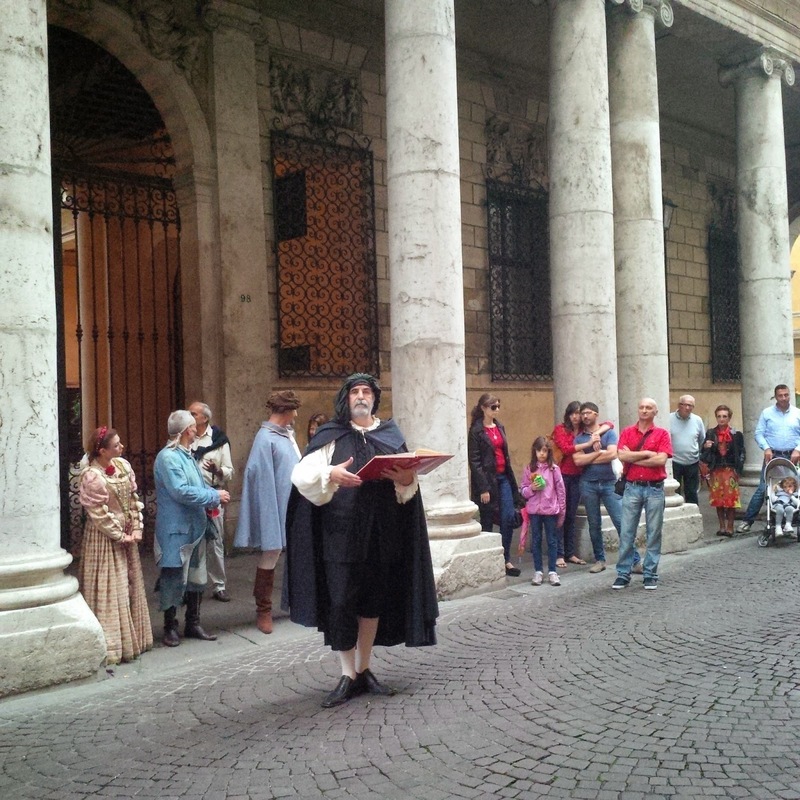 She explained that the procession was in honour of a noble vicentino or in other words a ‘citizen of Vicenza’. This is how I heard of Pigafetta for the first time and have been enchanted by the story of his life ever since. Born in a rich family of Vicenza, Antonio Pigafetta circumnavigated the world from 1519 to 1522. He was Magellan’s assistant and served as a diarist on the historical first journey around the Earth. Going round the globe today takes a matter of hours. How time has shrunk! Everything is faster, more dynamic and far more breathless than before. Magellan’s expedition took three years, all described in meticulous detail by Pigafetta in his book ‘Report on the First Voyage Around the World’. The book was based on the notes Pigafetta took during the three years that the journey lasted. He included facts, maps and observations about the visited places, their geography, flora, fauna, languages and not least their people. He even described Magellan’s death and was one of just 18 people who completed the circumnavigation out of the 240 who had been part of the original crew. I try to imagine the wonder he must have felt travelling around the world, seeing sights that no other European had laid their eyes on before, thoroughly researching and jotting down enthralling pieces of information, glimpsing a whole new world of colours, history, traditions and relationships with every dawn. 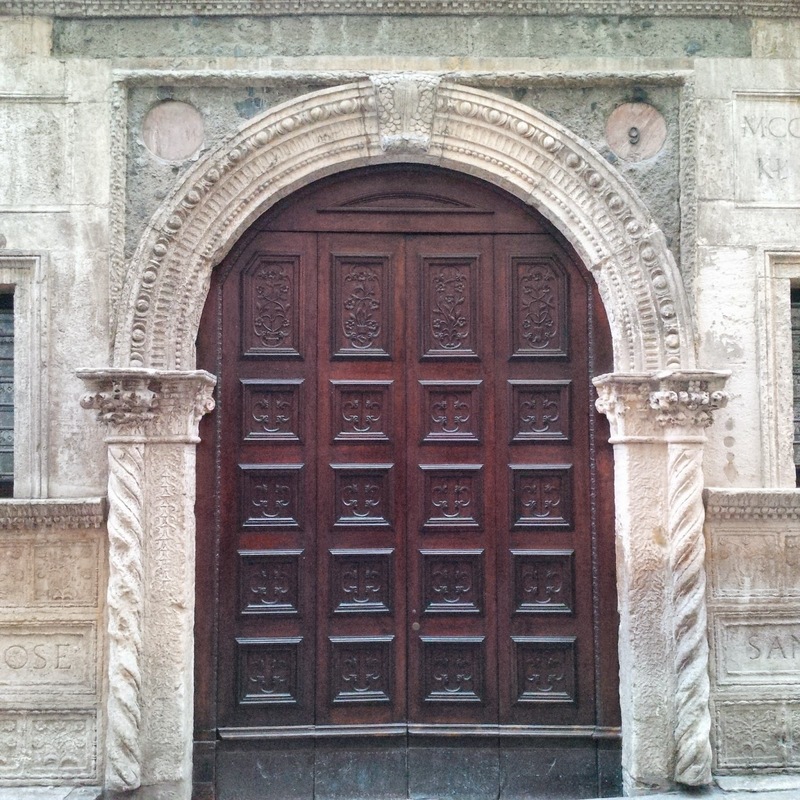 Since I first heard of Pigafetta, I like passing by his house in Vicenza, stopping to admire the intricate stonework on its facade and the heavy wooden door which is always shut. I find it quite amazing that something I was taught about at school, is so vividly present here in Vicenza. I can stretch my hand and touch the same door that the hands of a man who circumnavigated the world five centuries ago would touch every day. It’s fascinating how the abstract knowledge, the pared down facts that were presented to me in a quick history lesson, feel real and authentic on this old street. I see that, rather than just being a story, the circumnavigation is something that truly happened and was realised by the minds and hands of real, breathing men. 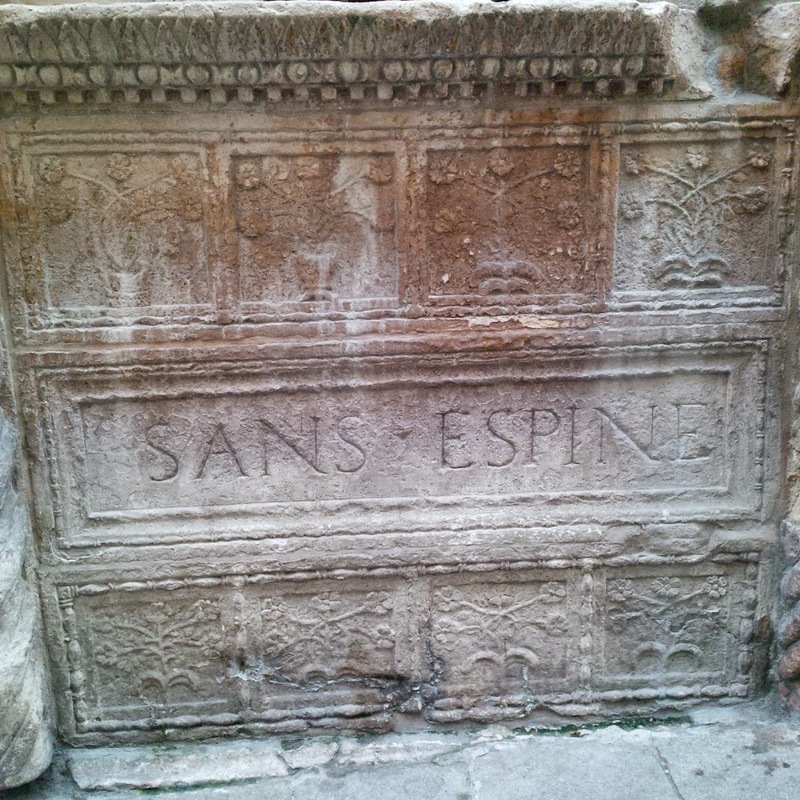 So, it was with a jolt of joy and a sense of sudden understanding that I noticed a sign carved in the stone right under the ground floor windows that flank the door of Antonio Pigafetta’s house in his hometown of Vicenza. 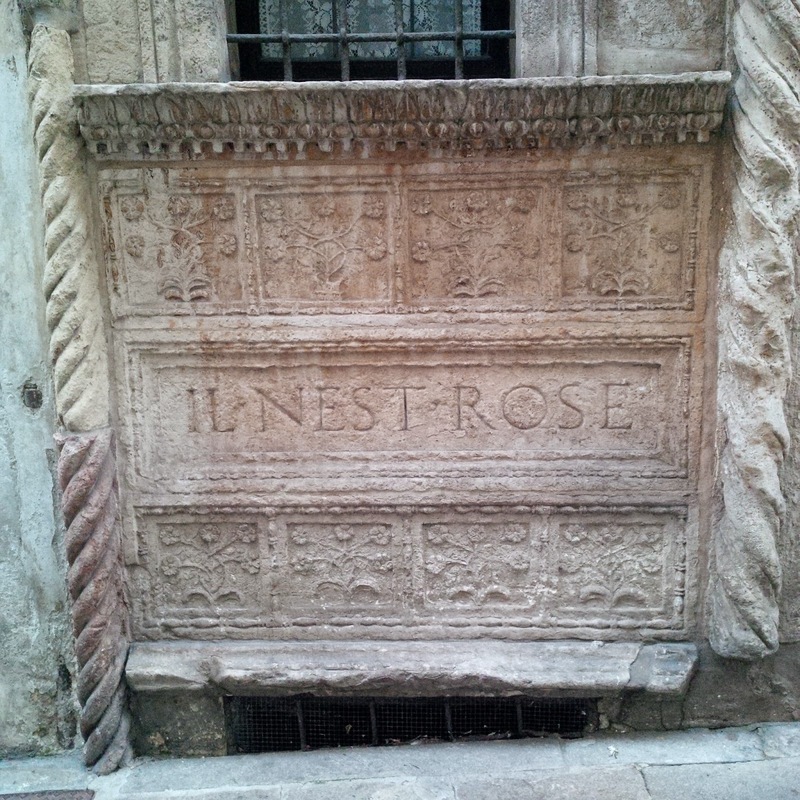 The sign says in French: Il n’est rose sans espine. There is no rose without a thorn. Somehow boldly perhaps, I took it as a personal message from Mr Pigafetta about the essence of our world and our lives. Update February 2017: Only recently I came across some information stating that Antonio Pigafetta actually didn’t live in the house above. 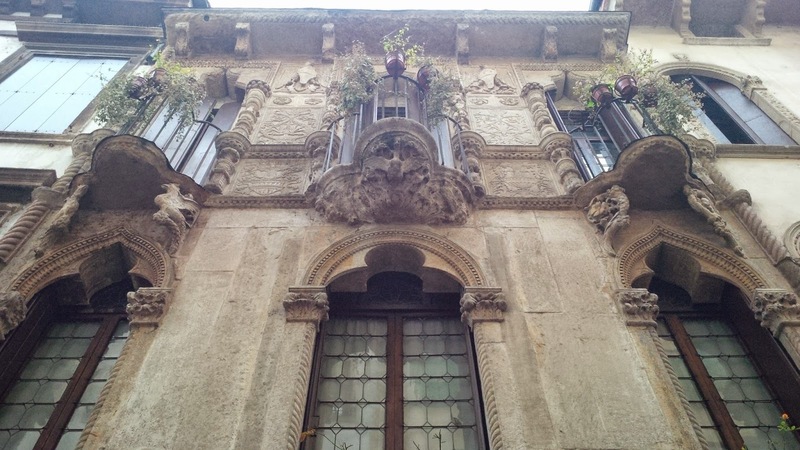 The house was owned by the Pigafetta family of which Antonio was its most notable member. It was generally assumed until the 90’s of the past century that the house was his. In fact, it would appear many (myself included until very recently) still believe so. I am planning to update the article as soon as I have a little bit of time to dedicate to it. In the meantime, I hope that this update would suffice. Thank you!